Jamaica Center for Arts & Learning (JCAL) is a nonprofit organization that offers visual, performing and literary arts, arts education and artists’ programs to encourage participation in the arts and to contribute to the cultural enrichment of the children and adults of Queens and the Greater Metropolitan area. For over four decades, the Jamaica Center for Arts & Learning (JCAL) has served as an arts oasis in a section of New York City where cultural opportunities are extremely limited. Created in 1972 as part of an effort to revitalize Jamaica, JCAL has earned a reputation for inspiring youth to take an interest in the arts, showcasing the talents of up and coming local artists and performers, and creating dynamic multicultural programs and workshops that have been embraced by the community. Each year, tens of thousands of visitors of all ages, backgrounds, and skill sets pass through its doors to attend classes and workshops, view art exhibitions, and attend performances. Recipient of some of the most prestigious art awards and recognitions, JCAL is now entering a new phase of its evolution where it will expand its programs both at its newly completed arts center and at its newly renovated headquarters space. A member of New York City’s Cultural Institutions Group, JCAL has achieved many successes over the course of its history. It has exhibited such master artists as Romare Bearden, Isamu Noguchi, and Elizabeth Catlett, and provided residencies to such noted artists as Lorenzo Pace and Lorna Simpson who were on their way to international acclaim. It has also presented such legendary performers such as Wynton Marsalis, Eartha Kitt, Dizzy Gillespie, Big Nick Nicholas, and the Boys Choir of Harlem. And it has pioneered a variety of cutting edge youth oriented arts programs that have captured the public imagination. From our weekend arts workshops and after-school and summer programs to our Community Arts Partnership with Cooper Union, since its inception JCAL has been committed to providing a creative and nurturing environment to the at risk youth in our community. Early in its history, the Center’s pioneering alliance with nearby schools initiated one of the first arts-in-education programs in the country and helped establish nationwide the educational viability of collaborations between schools and community-based organizations. Adding immensely to JCAL’s appeal are its two buildings that house some of the most dramatic art spaces in New York City. The 45,000 square foot headquarters building recently underwent a $10 million renovation courtesy of the City of New York and features a stunning array of art galleries, dance spaces, music studios, visual arts classrooms as well as a visitor’s center. It also boasts a 99 seat proscenium theater which features a regular line-up of artists and performers as well as student presentations. Located three blocks away on Jamaica Avenue is the Jamaica Performing Arts Center (JPAC) which was converted from a Dutch reformed church at a cost of over $22 million (also subsidized by the City). The building itself is an architectural gem, featuring seating for 400, an oversized stage, state-of-the-art sound and lighting systems, rehearsal spaces, and a magnificent reception area with inlaid hardwood floors. Enhancing the concert going experience are original architectural details including stained glass windows that cast an almost magical glow on the performers. The City, which entrusted the management of the facility to JCAL, envisions that JPAC will become one of the tri-state area’s premier music, dance, and theater venues over the next five years and will play a key role in the continuing revitalization of the Jamaica area. JCAL, the only multidisciplinary arts organization in Southeast Queens, serves a population of 920,000 who are considered to be among the most ethnically diverse in the nation. The area is home to large numbers of African-, Caribbean-, Latin- and Asian-Americans, as well as a growing community of recent immigrants from countries such as Trinidad and Tobago, Haiti, Guyana, the Dominican Republic, Nigeria and the Philippines. Although most of its constituents live within a ten mile radius, people from all over the metropolitan area travel to JCAL. JCAL presents a wide variety of music, dance, theater, and community events at the Jamaica Performing Arts Center (JPAC) that celebrate Queens’ rich cultural diversity and attract audiences from throughout the City and Long Island. In addition, JCAL produces large scale of festivals such as Making Moves, a dance festival that features performances by emerging contemporary dance companies every year. In an effort to reach broader audiences and higher artistic standard, JCAL partners with many cultural institutions, such as Carnegie Hall, Queens Theater, Lincoln Center, and local organizations such as VP Records, Greater Jamaica Development Corporation, Jamaica BID, King Manor Museum to bring a diverse array of programs. Since its founding, JCAL has been committed to offering dynamic educational opportunities for the people of Southeast Queens. In particular, JCAL has unmatched experience using arts education programming to reach the at-risk youth in our community. 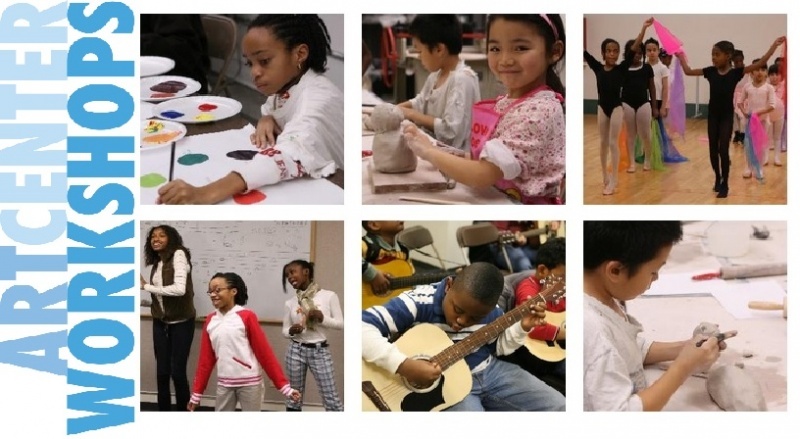 Our comprehensive array of in-school, after-school, and summer arts programs that supplement academic learning and provide young people with opportunities to explore and refine their artistic talents; increase their cultural understanding; and build academic, critical thinking, interpersonal, and cognitive skills. From the autistic boy who found his voice and gained a lead role in the production of Othello, to the young lady who developed her portfolio in an after-school program and was admitted to the School of Visual Arts, to the young man who just felt he had found a home at JCAL, our program have impact the lives of countless young people. 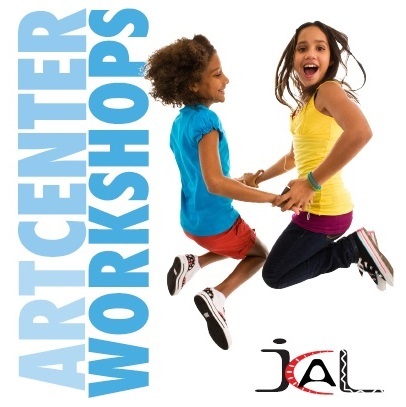 JCAL’s educational and family programs for children and adults include Arts Center Workshops, weekend and evening classes for adult and children in subjects ranging from keyboard and ballet to drama, cartooning, and African dance; Family Fun Days, a series of events that invitie parents and children to participate in art classes and acitivities together; and ARTventure, an after school program which brings artists into local schools, youth organizations and senior centers to provide workshops and performances; the 21st Century Challenge, our signature in-school program that provides students with authentic arts experiences that prepare students for success in the 21st century by cultivating critical thinking, problem solving, creativity, and communication skills. JCAL was founded four decades ago by a group of artsits and has remained dedicated to the advancement of contemporary visual art throughout its history. In honor of its founding vision, JCAL continues to support the creation and presentation of thought-provoking new works by under-represented, developing artists and organize exhibitions that explore issues in contemporary art and culture. JCAL’s Visual Arts Program provides artists with career resources and support while brining contemporary visual arts to an underserved constituency.